No lighter fluid...just a safe and easy way to start a fire! Super-hot air ignites the flames, then fans them. Guaranteed to light every time, even in the windiest conditions. Great for charcoal, fire pits, wood stoves and fireplaces. Easily Light your fire in 2-3 minutes! We used to wait 20+ minutes for our charcoal to start burning but now were burning red within 5 minutes. 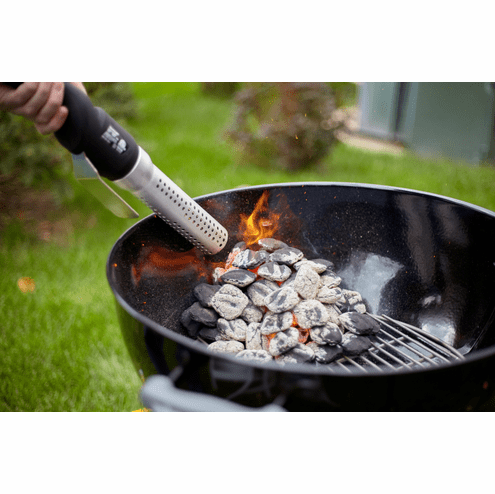 A must for charcoal/fire lovers!